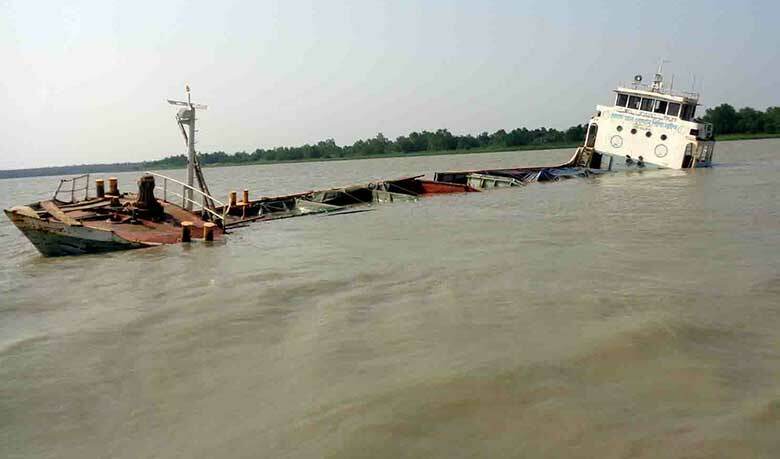 Bagerhat Correspondent: A vessel carrying 500 metric tons of fertilizer sank in a Sundarbans river on Tuesday afternoon. Sources said that the Dhaka-bound fertilizer laden ship named `MV Jabal-e Nur`stuck with island at Mora Bhola area of Sharankhola range around 5:00pm. Later, the ship sank under water as the lower part of the ship burst due to heavy weave. Following the incident, environment specialists said that environment may be affected for the fertilizer in the ship. Rescue ships named `MV Nusrat-e-Haque` and `MV Tasir Uddin` have reached to the spot and were trying to rescue the fertilizer laden ship when the report was filed, this night. Confirming the incident, Assistant Officer of Sharankhola Station, Masudur Rahman, said that the ship was carrying about 500 metric tons Muriate of potash (MOP) fertilizer. Sundarbans East Division Forest Officer (DFO) Md Amir Hossain Chowdhury, however, said that the aquatic animals would be affected due to MOP fertilizer. Two rescue ships were sent to the area to rescue sank one, he also confirmed.